The Department of English is located in the Bingham Humanites Building on the third floor, room 315. 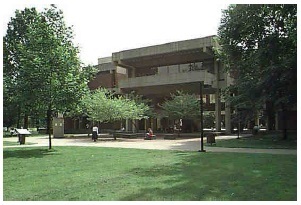 Our building located in the center of campus across the grassy quad from Ekstrom Library. Many of our classes are held in the Humanities Building as well as all of the offices for our faculty and instructors. To locate your class or a faculty member office please select one of the maps below.